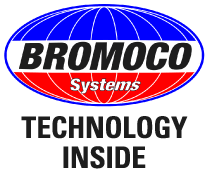 Bromoco Systems provide a worldwide service and solution for the restoration and maintenance of all metal and coated substrates. A pioneer in the industry, ParaGuard has been specifically formulated to cope with the extreme conditions within a swimming pool environment be it indoor, outdoor chlorine or salt and offers the complete solution to restoring existing metal finishes and protecting new products such as stainless steel, aluminium, anodised and powder coated products offering a ten year guarantee. The ParaGuard Metal Protection System has been specifically formulated for coating swimming pool fittings, ladders, rails and balustrades. The special formula contains higher levels of salt resistance enabling total protection against salt or chlorinated water as well as Bleaches and acids Regardless of the grade of stainless steel used within a pool environment browning and tea staining will occur and will require a constant cleaning regime. The pictures below are all 316-grade stainless steel.